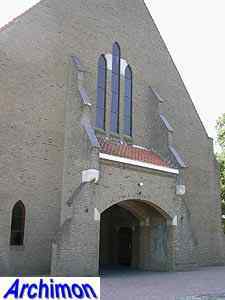 Steenwijksmoer was founded at the end of the 18th century. 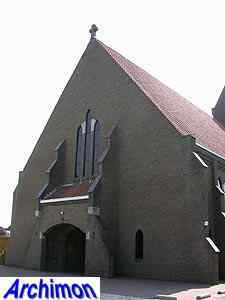 As the first part of its name suggests the village belonged to the lords of Steenwijk (Ov) then, while the second part of the village's name refers to the peatery, the reason for its existence. 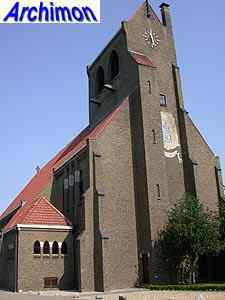 The population always was mostly catholic and until 1932 belonged to the parish of Coevorden. 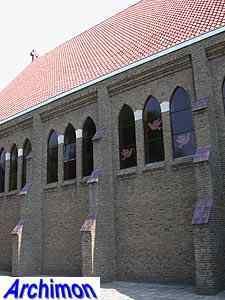 In 1930 preparations for the founding of a seperate parish began. 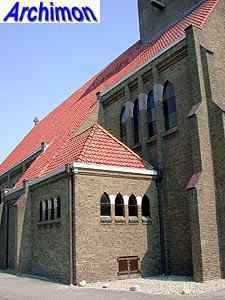 Soon enough money had been collected for a church, which was built in 1931-1932. 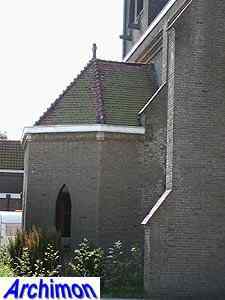 Architect Jan van Dongen jr. designed a church in Traditionalist style, closely related to that of the Delft School. A remarkable feature is the tower above the choir. 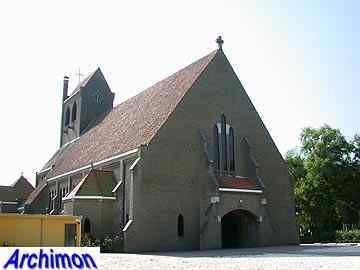 Due to expected growth of the village the church was bigger than necessary at that time. This growth however turned out to be only temporary.